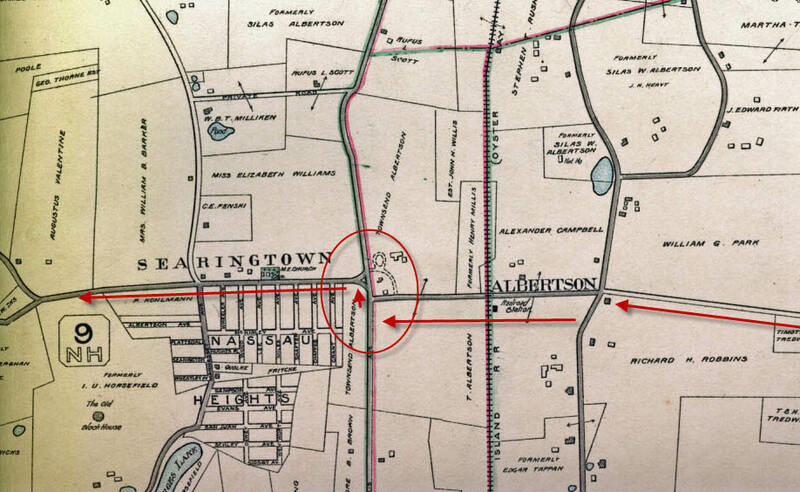 As shown in this 1906 Belcher-Hyde map, I.U. 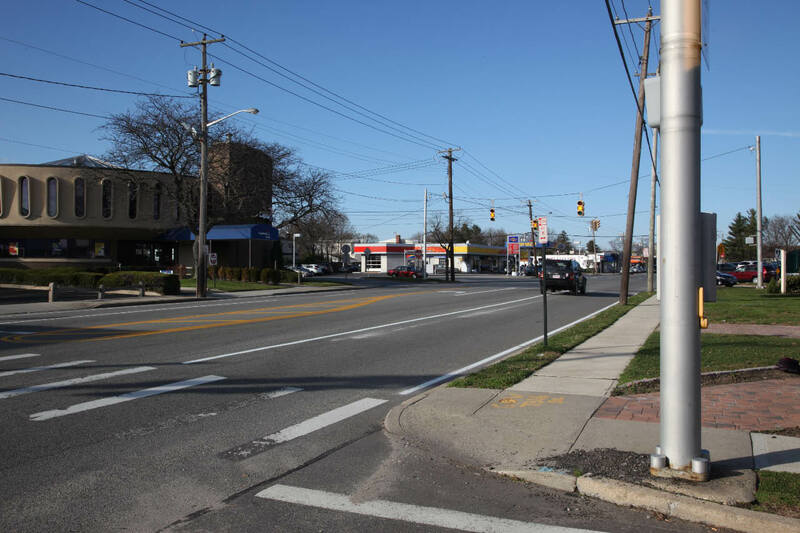 Willets Road had a unusal configuration at the intersection of Willis Avenue. The road ended at the intersection and began again several yards north. The result for the 1905 race was the "S Turn". 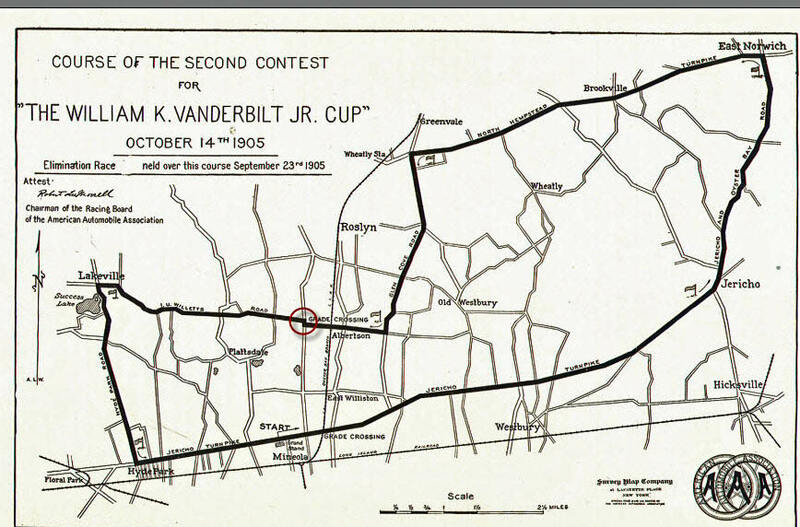 This New York newspaper provided a "birdseye" view of the 1905 Vanderbilt Cup Race course. 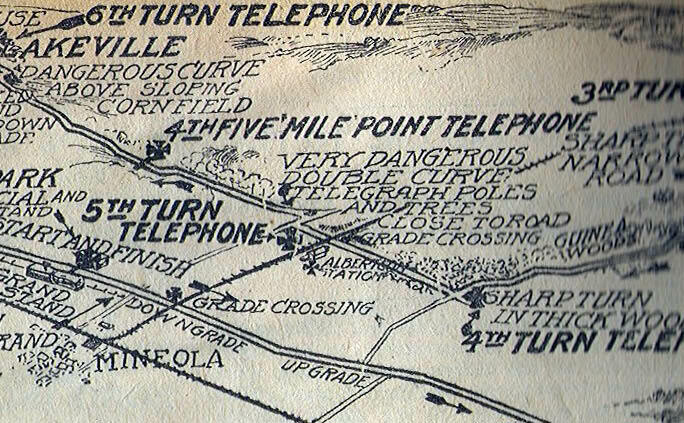 It described the "S Turn" as "very dangerous double curve, telgraph poles and trees close to the road." 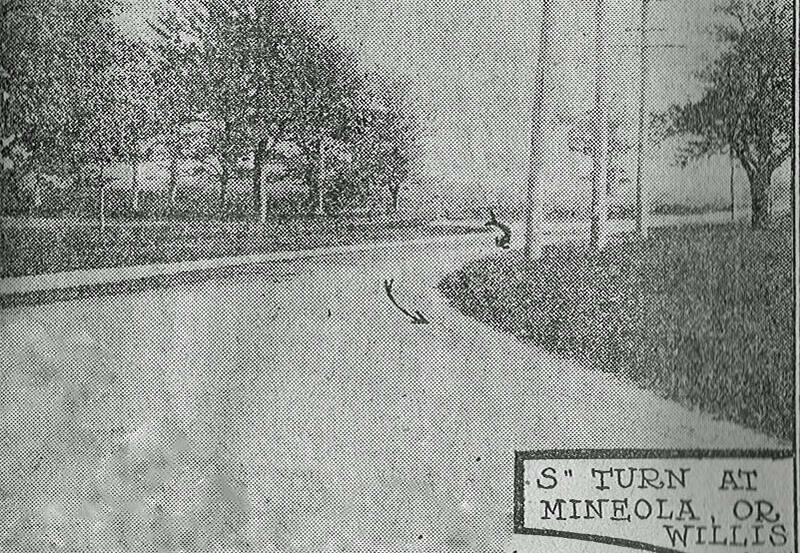 A 1905 view of the "S Turn" looking north-west. Note the three telegraph poles on the west side of Willis Avenue. The "I.U." in I.U. 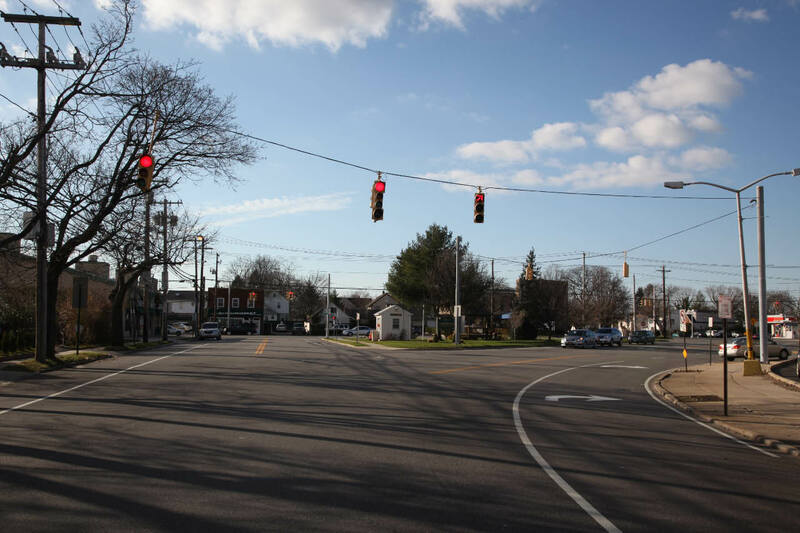 Willets Road was added to reduce confusion between Willets Road and Willis Road. A view of the "S Turn" looking south- west. The three telegraph poles can be seen on the right. During the 1905 Vanderbilt Cup Race, Louis Chevrolet drove the #16 Fiat at the first turn of the "S Turn". He later collided with the telegraph pole in front of him. 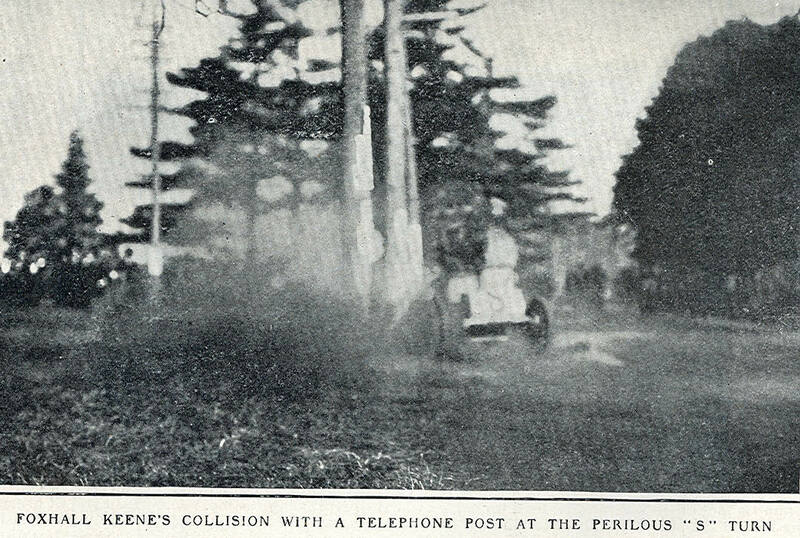 The telegraph pole also took out the team of Foxhall Keene and William Luttgen driving the #5 Mercedes. Foxhall Keene decribed the 1905 race in his autobiography Full Tilt. 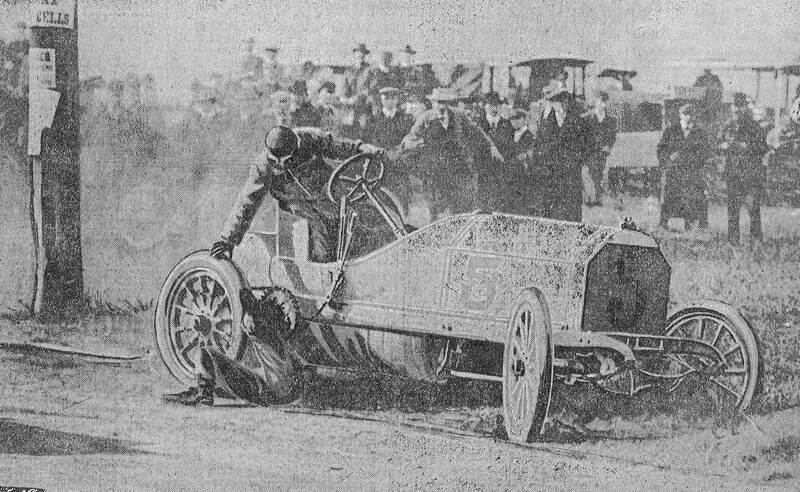 After clipping the pole, mechanician Luttgen was thrown under the car. 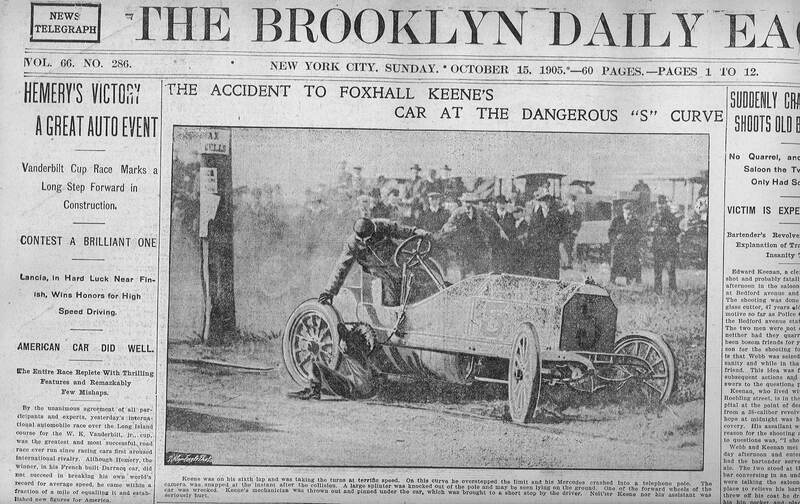 Miraculously, Luttgen was not injured.This photo of theaccident made the front page of the Brooklyn Daily Eagle. Keene remembered: "When the car was lifted off us and we found no one was hurt, my first thought was to get word to my mother. A telephone box had been installed on an adjacent tree, apparently for this very purpose, so I was able to reassure her before going to the grandstand to watch the finish. I think motor racing in those days was one of the most exciting and invigorating sports in the world." 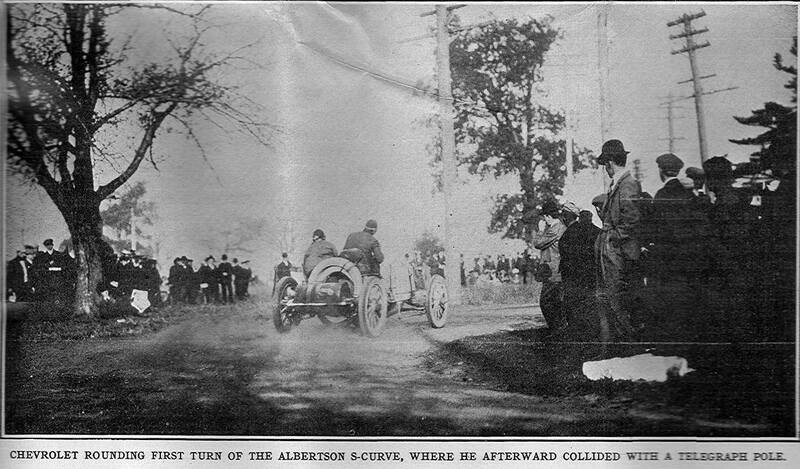 This Locomobile postcard read: "Rounding the famous "S" turn at Albertson. The telegraph pole is the one which wrecked No. 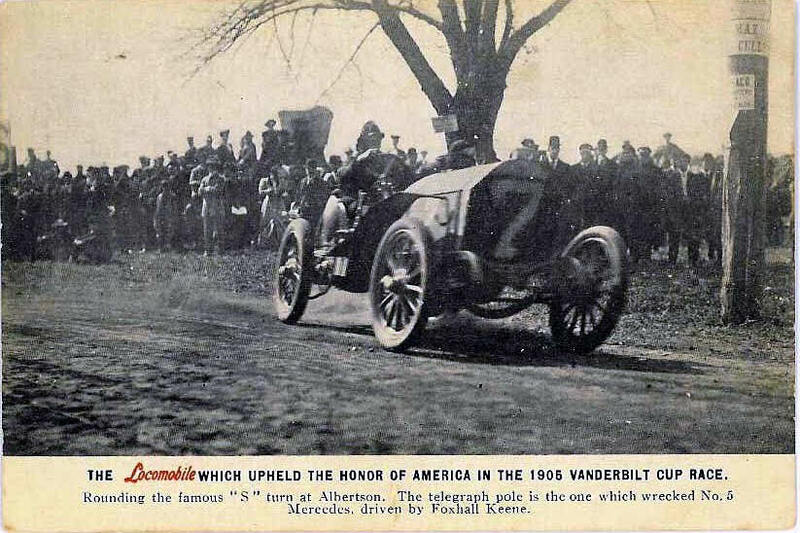 5 Mercedes, driven by Foxhall Keene. The view of the "S Turn" looking west towards Willis Avenue. This section of I.U. 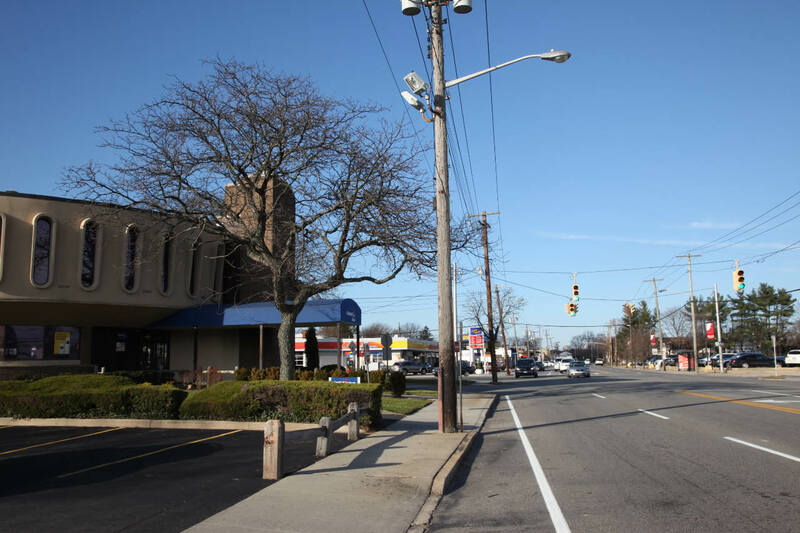 Willets Road was redesigned decades ago with a cut-through road as seen on the right. A view at the first turn of the "S" looking north on to Willis Avenue. This telephone pole is approximately in the same location as the telegraph pole that was hit by Foxhall Keene and Louis Chevrolet. 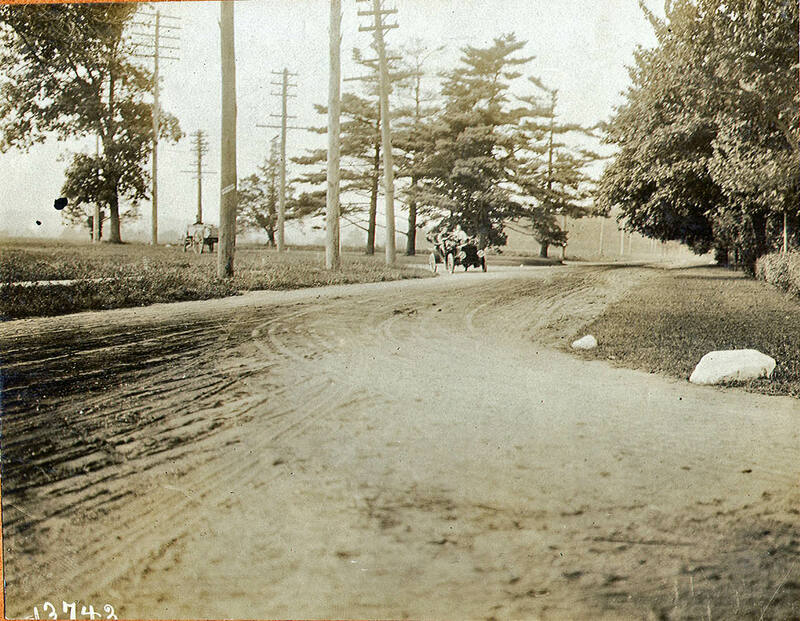 I drove through this intersection commuting to work from 1977 to 2001 and never knew it was part of the 1905 Vanderbilt Race Course. Thanks for preserving this important moment of Long Island history.